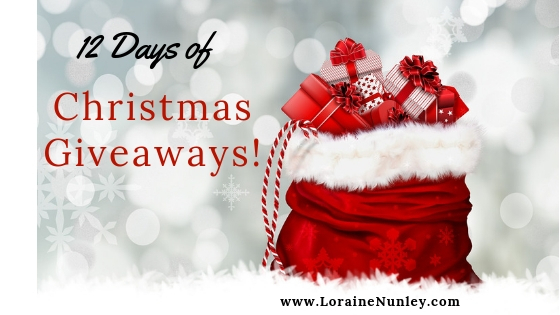 Welcome to Day 1 of the 12 Days of Christmas Giveaways for 2018! It’s that time of year again. Yay! I love this time of year where I can shower my friends and loved ones with gifts. And you, my favorite readers, I get to shower with 12 days of giveaways. Welcome. I am so glad that you have stopped by my website to participate in the fun this year. Each day will have its own giveaway that will run for 7 days. You can enter all of the giveaways or just the ones that strike your fancy. Many of the giveaways will only be open to US residents (shipping costs you know  sorry), but I will have a few open internationally. This giveaway is for the historical romance, The Honorable Heir by Laurie Alice Eakes. I enjoyed this read and you can find out what I thought about it here. I have been blessed to read many good books this year. Here are two that I recommend: Delayed Justice by Cara Putman (romantic suspense) and The Best of Intentions by Susan Anne Mason (historical romance). What are some books you have loved this year? To enter the giveaway, just fill out the Rafflecopter form below. Open to all readers over 18 with US mailing addresses or can received Amazon Kindle copies. No purchase necessary. Void where prohibited by law. The winner will be notified via email and will have one week to respond back to me with their info. Good Luck and Thank You for stopping by! The comment requirement for this giveaway is: Name a book (title from A-D) that you enjoyed reading this year. I enjoyed The Disasters this year. The book I enjoyed was The Hidden Side by Heidi Chiavaroli. Sons of Blackbird Mountain by Joanne Bischof. Oops. Sorry. Didn’t read the instructions well, did I? LOVED A Song Unheard and An Hour Unspent by Roseanne White. Bread of Angels by Tessa Afshar. It is about Lydia, seller of purple from the Bible. My Heart Belongs in Blue Ridge was a recent read that I really enjoyed. Forgot the A-D! A Secret to Die For! No problem Joan. 😉 Thanks for commenting. By Beth Wiseman IF it does count. Loved them both! Becoming Mrs. Lewis is one I really enjoyed this year. An Inconvenient Beauty by Kristi Ann Hunter. I’m reading the Guidepost’s series, Tearoom Mysteries. I just finished reading book # 21 by Leslie Gould, “A Cup of Grace”. Thank you for entering me in your Christmas giveaway. A Bridge Across the Ocean by Susan Meissner. At First Glance by Susan L. Tuttle! I loved A Defense of Honor by Kristi Ann Hunter. Now that is above and beyond the call Jasmine. 😉 Great recommendations! Auschwitz Lullaby by Mario Escobar was heartbreaking but so good. Sorry, I just realized that I was supposed to do this alphabetically! Lol Let’s say that Beneath the Surface is the right answer for today.